No matter if your spinal injury is caused by a car accident, a fall, or another cause, spinal injuries can result in significant obstacles that make it difficult to achieve many daily goals. If you or a loved one has experienced a spinal injury as the result of an accident, you will likely be able to obtain the compensation that you deserve from the party responsible for the accident. As a result, if you find yourself in this situation, you should not hesitate to contact an experienced accident attorney who can fight for the compensation that you deserve. Cervical spinal cord. This area is the topmost section of the spinal cord and is located where the brain connects to the spinal cord. Containing eight vertebrae, this area is commonly called C1 to C8. Thoracic spinal cord. The middle area of the spinal cord, this area contains 12 vertebrae from T1 to T12. Lumbar spinal cord. The lower region of the spinal cord, this area is referred to as L1 to L5. Sacral spine. The lower, triangle-shaped area of the spine, this area does not actually contain any spinal cord but instead nerve roots. Coccygeal region. More commonly known as the tailbone, this area consists of one vertebra located the base of the spinal cord. What is Involved in a Spinal Cord Injury? A spinal cord injury involves damage to a person’s spinal cord, which is the bundle of nerves responsible for carrying nerve messages between the brain and body. 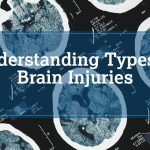 These injuries can result in the lower section of a person’s body becoming paralyzed. In other situations, all four of a person’s limbs might become paralyzed. Considering that the spinal cord helps to perform a variety of bodily functions including breathing, body temperature, bladder functions, and sexual performance. Complete spinal cord injuries. These injuries occur when a person’s spinal cord is fully severed which removes their ability to use the area affected. Incomplete spinal cord injuries. This category involves spinal cords that are only partially severed and still allow a person to retain some functions. Spinal cord injuries are often the result of traumatic injuries or impact to the spine. 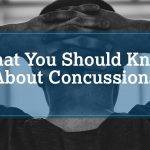 Some of the most common causes of spinal cord injuries include motor vehicle accidents, falls, acts of violence, and recreational sports activities. Spinal cord injuries can also be caused by errors that occur due to surgical procedures involving the neck and back. Spinal cord injury lawsuits often involve complex issues, which is why it is critical to obtain the assistance of a skilled attorney to navigate them. Contact Ferrara Law today to schedule an initial free consultation.